OUR FANTASTIC SWIMMINGPOOL IS SURROUNDED WITH MUCH GREEN AND IS THE PERFECT PLACE TO RELAX AND HAVE FUN. 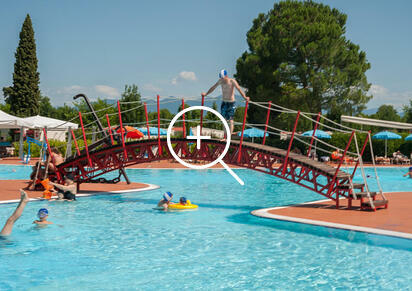 Immersed in the green, the pool of our campsite in Desenzano on the Garda Lake is ideal for both adults and children. 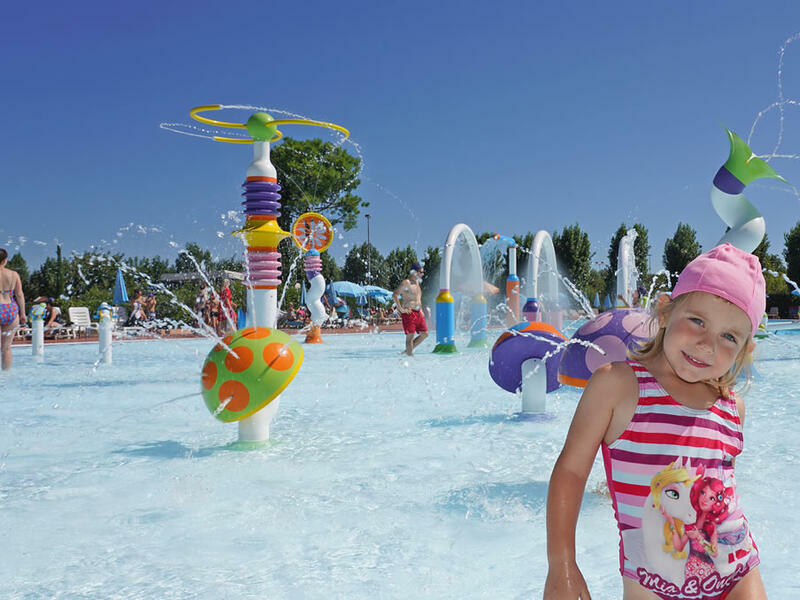 In fact it offers relaxation and fun, thanks to the three large lagoons with different depths. 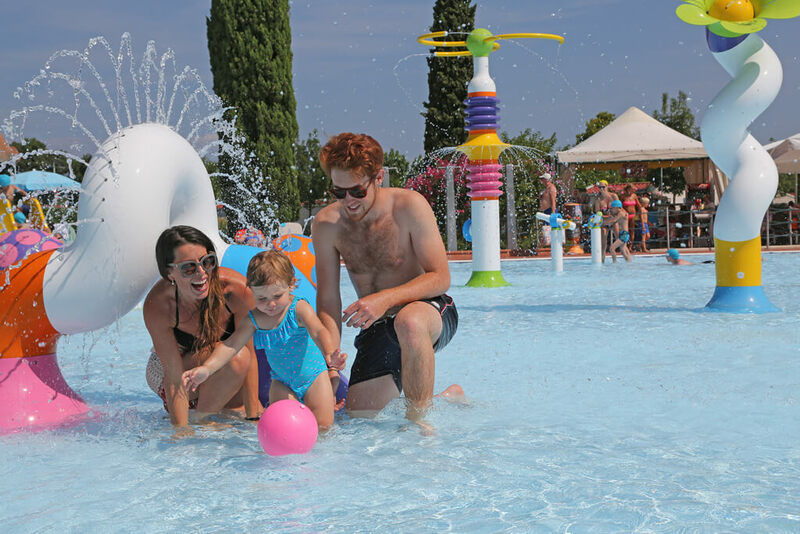 The swimming pool for children, the whirlpool, the water games and the solarium with sunbeds and beach umbrellas complete the offer. 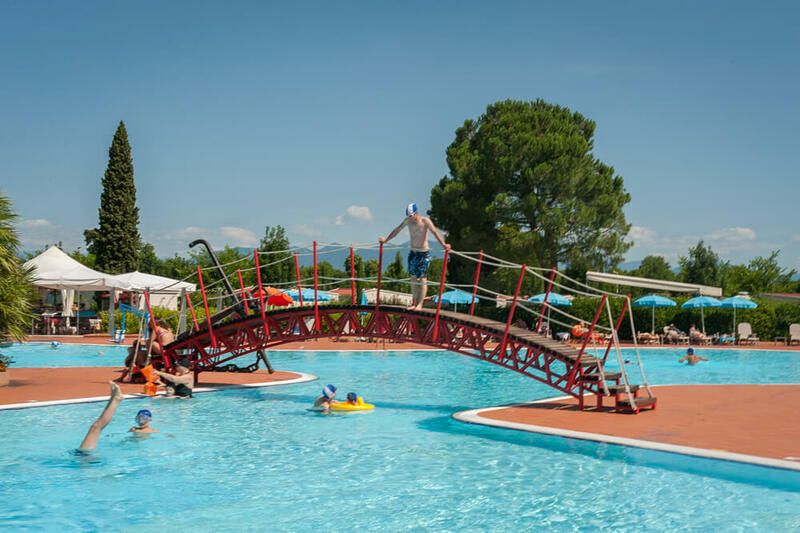 A lifter is also available, which makes the pool also accessible for disabled guests.